Cort Guitars knows that many players who want a new, reasonably priced acoustic prioritize instrument sound quality. In fact, many acoustic guitarists would forgo cosmetic upgrades for an enhanced, vintage tone. 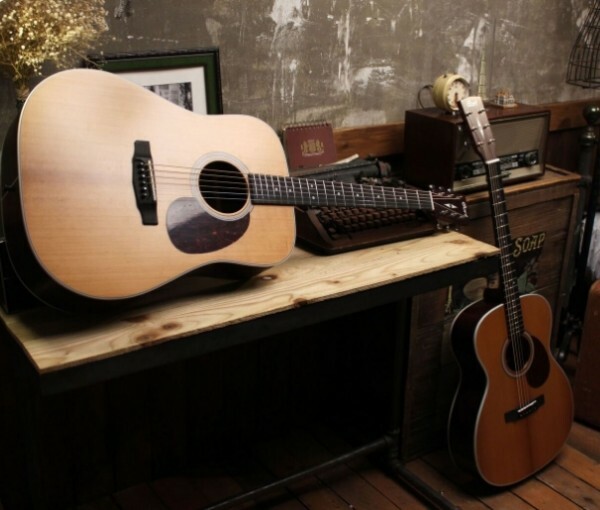 Intended to meet those players’ needs, Cort introduces its new 200 ATV (Aged to Vintage) Series of acoustic guitars. Featuring basic designs but all the key enhancements that improve sound quality, guitars in the ATV Series deliver a tone that has previously been missing in new instruments. Cort’s innovations are evident in the new L200ATV, which has a 1 ¾’’ nut width for easier fingerstyle playing. The smaller, orchestra model body is a 1920s design that delivers a sound that’s larger than its compact size indicates, and its dynamic responsiveness enhances playability. The L200ATV’s coveted vintage tone is delivered through its torrefied solid sitka spruce top and hand-scalloped x-bracing. In the torrefaction process, the wood has been treated and opens up more over time, resulting in the big, open tone of a decades-old acoustic, but delivered in a new instrument with a semi-gloss finish. Material choice also helps to augment the L200ATV’s vintage sound quality. The back and sides are constructed of pau ferro, a South American tone wood that has a thick midrange that’s tonally similar to Indian rosewood. Exotically attractive, pau ferro also boasts good impression strength parallel to the grain. Ebony wood was chosen for the bridge and bridge pins to keep the fundamental acoustic sound focused and tight. Ebony also has greater sonic projection than plastic and enhances the transfer of the string vibrations throughout the soundboard top, body and neck. While the focus of the L200ATV is its vintage tone, Cort also delivers an appealing, old-school esthetic. The richness of the pau ferro sides and back, mahogany neck, ebony fingerboard and ebony bridge are stunningly contrasted by white binding, white dot inlays and a multi-ply ivory rosette, along with a genuine bone nut and saddle. Grover® Vintage tuners complement the overall classic look of the model.